1. How does the caseworker find out about the other parent’s income or assets? 2. What happens at the administrative hearing for support? 3. How is the amount of support determined? 4. Does the Worksheet factor in bills such as rent, mortgage, credit cards, clothing, expenses, etc.? 5. Whose income is considered when calculating child support? 6. What if one or both of the parties are unemployed at the time the order is being established? 7. Will the Administrative Hearing Officer retroactively order child support? 1. 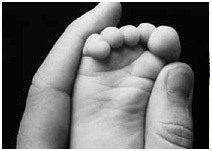 Generally, after establishing paternity, the issue of support is considered. The caseworker will send out a Notice of an Administrative Hearing to establish a child support order. Each party will be directed to bring in income tax returns, pay check stubs, insurance premium, day care costs, and other verifying documents to that hearing. 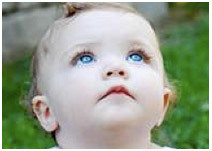 The Hearing Officer will complete a new Child Support Worksheet using the information provided by the parties. If the information was not provided, the agency may use other information available to it. 2. The Administrative Hearing Officer will review information contained in the Child Support Worksheet with the parties and answer any questions regarding the calculations and the amount of support to be ordered. An Administrative Order for support will be issued by the Hearing Officer. The agency will then file a Complaint to Adopt an Administrative Support Order, asking the court to approve what was done, in the Hancock county Juvenile Court. You will be served with a copy of the Complaint by certified mail or other appropriate means. Any objections to the Administrative Order must be filed by the objecting party in the court. NOTE: The CSEA does not have the authority to deviate from the Child Support Worksheet, to issue any orders with respect to parenting time, or to reallocate the tax exemption for the minor child(ren). You must petition the court for this relief. 3. The law requires all orders for support to be calculated using the Ohio Child Support Guidelines. The Ohio Support Guidelines and Worksheet can be found in the Ohio Revised Code 3119.01. The Administrative Hearing Officer will use the Ohio Child Support Guidelines and Worksheet to calculate the amount of support to be ordered. Parties will be asked to provide verification of all relevant information including income information, proof of health insurance costs and availability, and child care costs. A more specific list of requested information will be sent to each party before the hearing. 4. The answer to this question is generally no. These amounts are not included on the Ohio Child Support Guidelines worksheet. The Child Support Guidelines tables were developed using cost of living studies and include information about typical living expenses. The Administrative Hearing Officer is required to follow the Ohio Child Support Guidelines and Worksheet and is not permitted to deviate. Generally, the courts have a greater discretion in deviating from the Ohio Child Support Guideline and Worksheet formula. 5. Only the incomes of the parents are considered when calculating child support. The only exception to this is when both parents are minors, in which the incomes of the grandparents may be considered. 6. If the unemployed party is deemed to be “voluntarily unemployed or underemployed”, income may be imputed depending on the facts of the case. Alternatively, the child support may be based upon the amount of unemployment benefits being received. 7. Ohio law prohibits retroactive modification of child support. Accordingly, the effective date of the proposed new support is determined by the review process, specifically, the effective date is the first day of the next month following the date of the desk review.